Perhaps the best brochure from the famous “Getting there is half the fun” series! 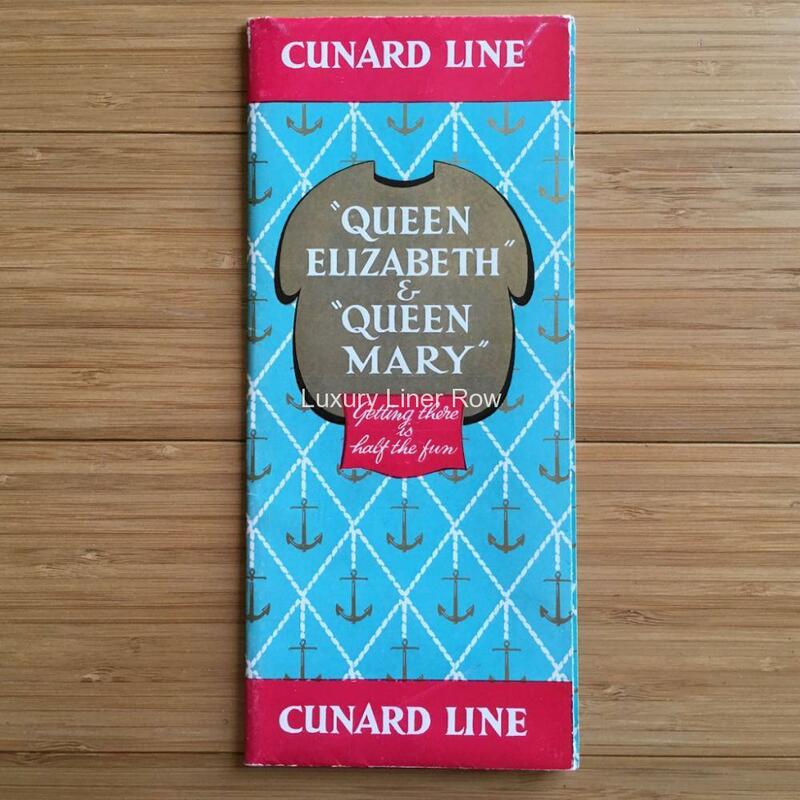 This one folds out to cover the incomparable Queen Mary and Queen Elizabeth. 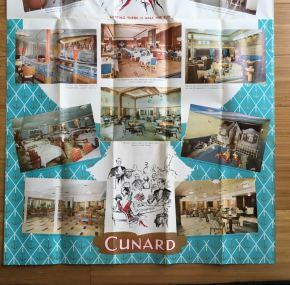 Dating to the mid 1950’s, there are 14 full-color images from both ships on glossy paper. Not often seen and in very good condition.